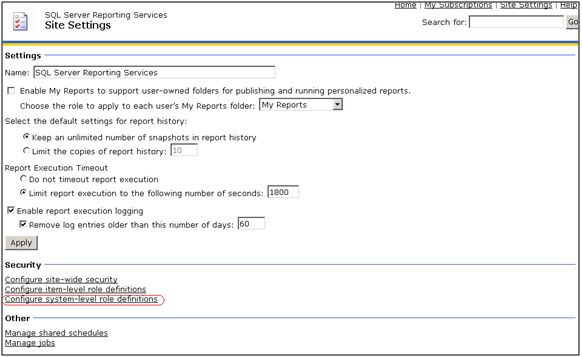 Many of the SSRS administrator I have interacted are a little confused about enabling Report Builder tab. The reason is when the get on the box where they have installed reporting services, they browse to http://localhost/reports they are able to see the report builder tab, but when the try to access the site remotely they cannot see it. 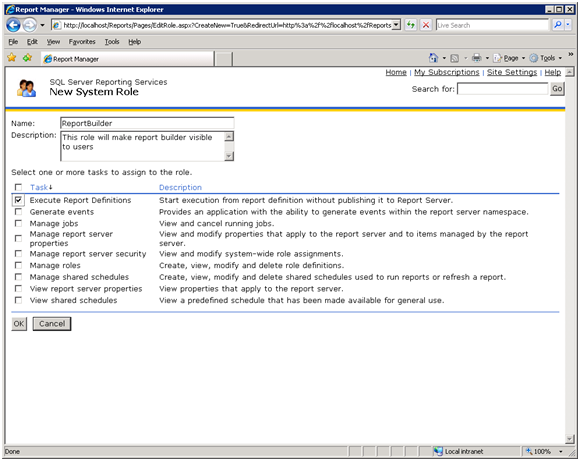 To confuse matters future, the administrator keeps granting access to the Report Builder Role and nothing happens. When User1 access the site remotely should see the Report Builder Tab. This entry was posted in Sql Server Reporting Services. Bookmark the permalink. i don’t understand why i haven’t the same interface at the 4 steps. 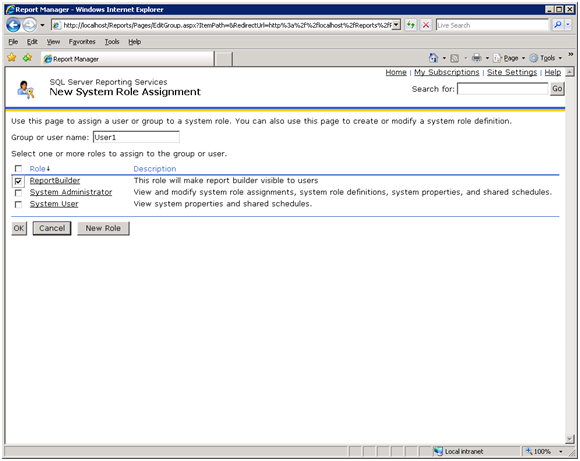 No Configure system-level role definitions why ?